Revicoll Omega Plus +K2MK7 Nutrivi is a nutraceutical tailored to our times. The range of the active ingredients properties is impressive, as the composition enclosed in the small capsule is unique. It’s thanks to the numerous, properly selected ingredients that Revicoll completely and complementarily supports incredibly significant functions of the organism. What contributes to that? We’ve gathered the most important facts for you. Enjoy your reading! Revicoll is a rich source of the long chains of omega acids that belong to the so-called unsaturated NNKT acids. They are essential to maintain correct functions of the organism and since we are unable to synthesize a sufficient quantity ourselves, we need to supplement them. DHA and EPA exhibit several properties, from anti-inflammatory ones (antitumor prophylaxis) so often mentioned by professor Frydrychowski at his lectures, through cholesterol regulating (increasing the “good one” and decreasing the “bad one”), decreasing blood clotting (protection for the heart and the circulatory system), significant support for the functioning of the brain, eyes, ending at participating in the treatment of the diseases of the connective tissue and joints. A, D, E, K, vitamins soluble in fats are responsible for numerous significant functions in the organism. 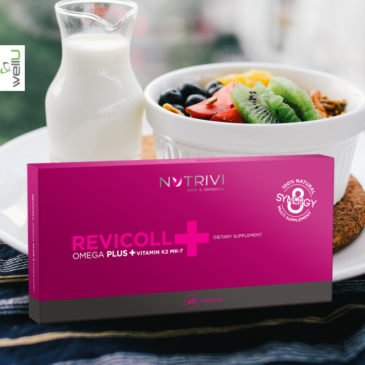 Revicoll Omega Plus not only contains the entire set of those vitamins, but also a ‘drop of fat’ (fish oil) that is essential for their proper absorption. You do not need to wait for the properly composed meal to consume a Revicoll capsule. Revicoll is appreciated for its amazing properties supporting the skeletal system. It is possible thanks to the perfect composition of calcium and vitamins D and K – components that together are essential for healthy and strong bones. Synergy of their actions is greatly programmed (by nature! ): the vitamin D regulates the functioning of the calcium phosphate management and bone creation process, while the vitamin K2MK7 makes sure that the calcium provided to our organisms is directed to the bones instead of the blood vessels, where it could stick to the walls creating an embolism hazard. A bit more of (/about) the already mentioned vitamin D. According to the latest scientific research up to 90% of our latitude inhabitants suffer due to the vitamin D deficiency. Its insufficient amount in the organism translates not only to weaker bones but also the poorer functioning of the nerve system, of the muscles, tiredness, and apathy (even depression), a decrease in immunity. That’s why the new edition of the supplement contains 2,5 times more of the vitamin D, compared to the old one – 50 µg per capsule. 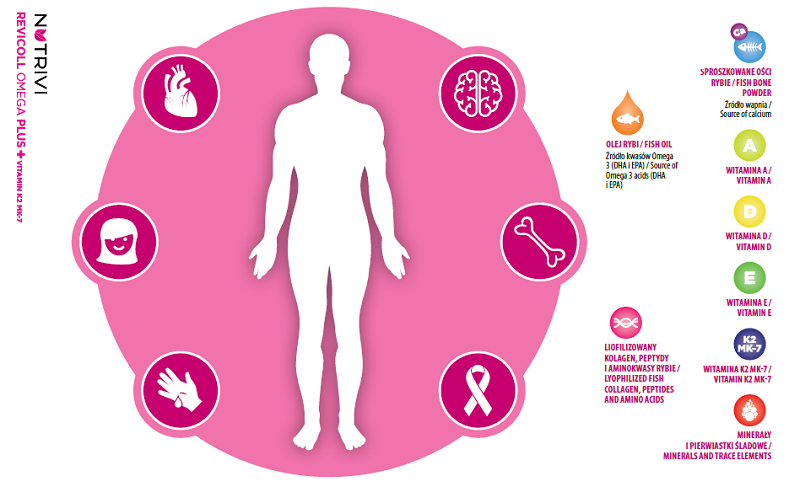 The high concentration of the vitamin D in the organism supports the antitumor prophylaxis, can contribute towards decreasing the risk of the autoimmunological diseases, as well as the diseases of the circulatory system, infectious diseases, and the type II diabetes. Apart from the seniors, people who have a bigger need for the vitamin D supplementation, are those struggling with the obesity, who are more exposed to its deficiency. It’s worth to mention that the correct level of the vitamin D accelerates the fat tissue burning, we feel full faster and it is more difficult to store the abdominal fat. Did you know that? 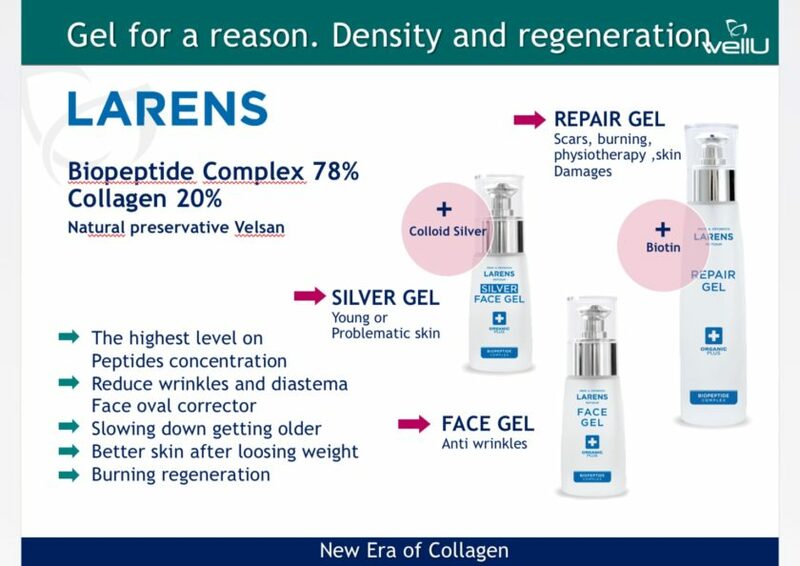 Thanks to the presence of easily absorbable protein chains that stimulate the organism to regenerate and produce its own collagen and elastin, Revicoll supports the healing processes of wounds, injuries within the skin, bones, and joints. It’s a perfect product for both: actively training and for seniors exposed to the risk of fractures and joints malfunctioning. 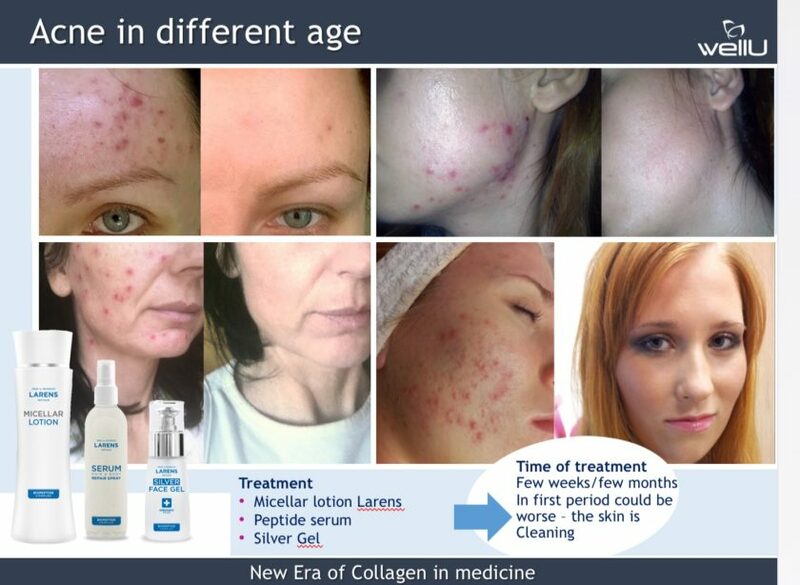 Revicolls active ingredients are a perfect weapon against the threats posed by the nowadays world. Apart from providing the antitumor prophylaxis (anti-inflammatory properties that neutralize the free radicals) they support combating the allergy, contribute to protecting the circulatory system against atherosclerosis, heart attack and strengthen the immune system in its difficult tasks. Obtained from the fish bones, calcium is not the only microelement present in Revicoll. Various other ones can be found there as well: molybdenum, phosphorus, copper, cobalt, sodium, iron, potassium, zinc, manganese, selenium. Despite being called trace elements, they are extremely significant for the proper functioning of the organism. And, in Revicoll, they are served in the form best to absorb – coming from nature. 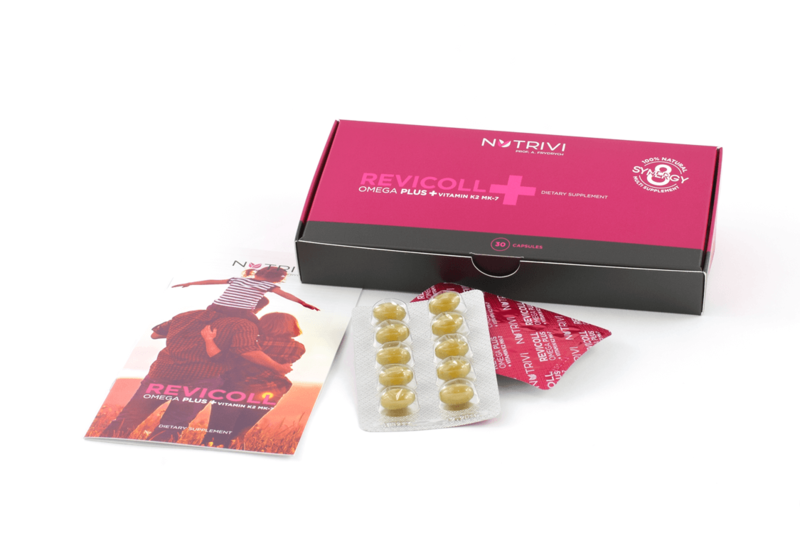 Speaking of which – the natural origin of Revicoll’s active ingredients contributes to their high absorbance and therefore, their action. Besides, it is worth to keep in mind that the natural substances in the Revicoll’s recipe are not isolated – they are keeping synergic company to each other and simply work better as a team.